How could your cuffs look any better than this? 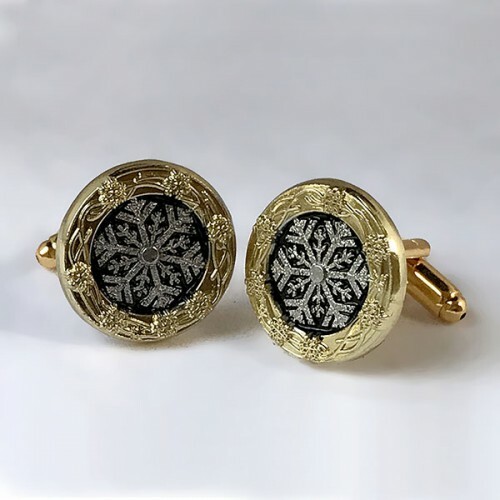 We took our 3/4-inch Crystal Snowflake Buttons and added a gold-plated cufflink attachment to create these beauties. We're sure you'll agree, and a terrific price too. They coordinate with our entire Crystal Snowflake product line: Buckle, brooch, 1.25-inch button, and 3/4" buttons.